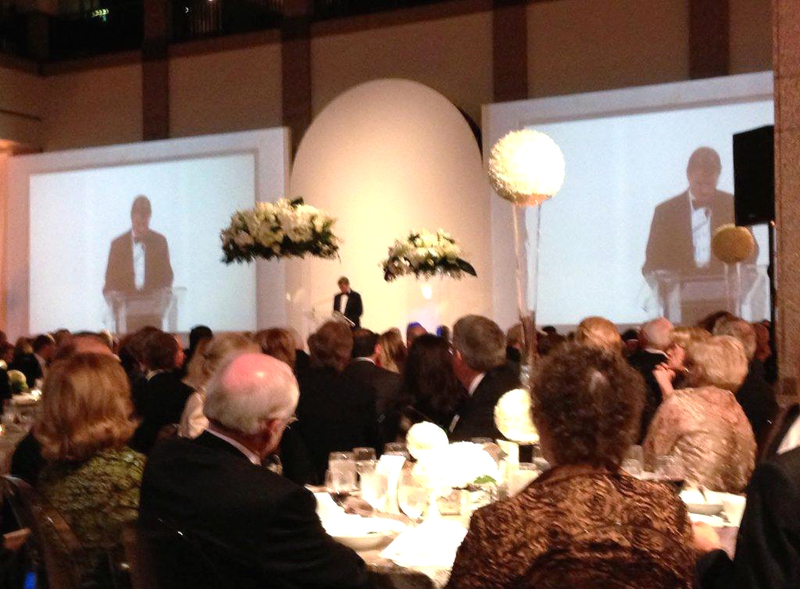 (Community Matters) Great fun last night as guests of Suzanne Deal Booth & David Booth at the Blanton Museum’s 50th Anniversary Gala. Loved launching at the museum, I haven’t toured there in way too long. Collectors and supporters loaned many of their works. Richard Hartgrave and Gary Cooper loaned a Michael Tracy. 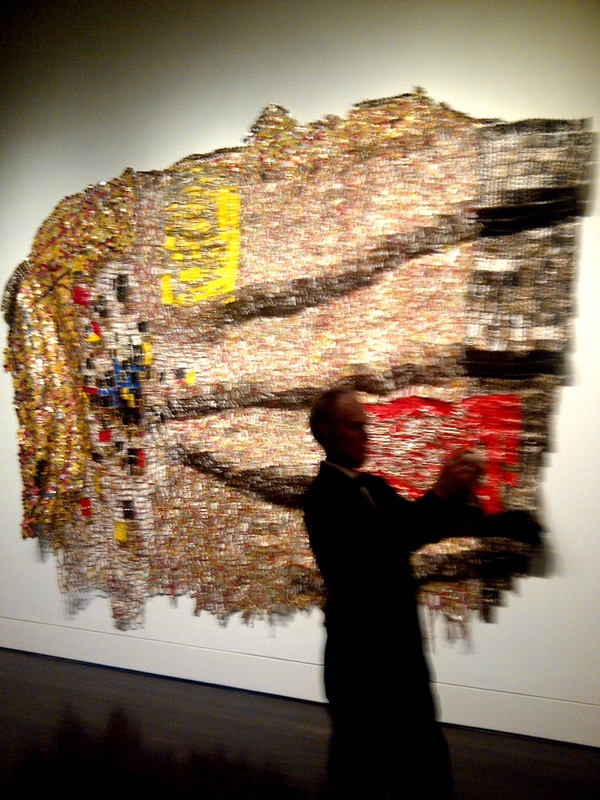 I especially liked City Plot by El Anatsui, a tapestry of aluminum liquor bottle caps and copper wire. It reminded me of Suzanne Tick’s work – who I immediately texted with a pic and of course she knows the work. Unfortunately, it’s been a busy weekend and we weren’t able to participate in Friday’s & Saturday’s activities. Tommie & Lynn Meredith hosted a cocktail reception Friday night. Deborah Green, Chris Mattson and Jeannie & Mickey Klein hosted house tours of their collections yesterday. 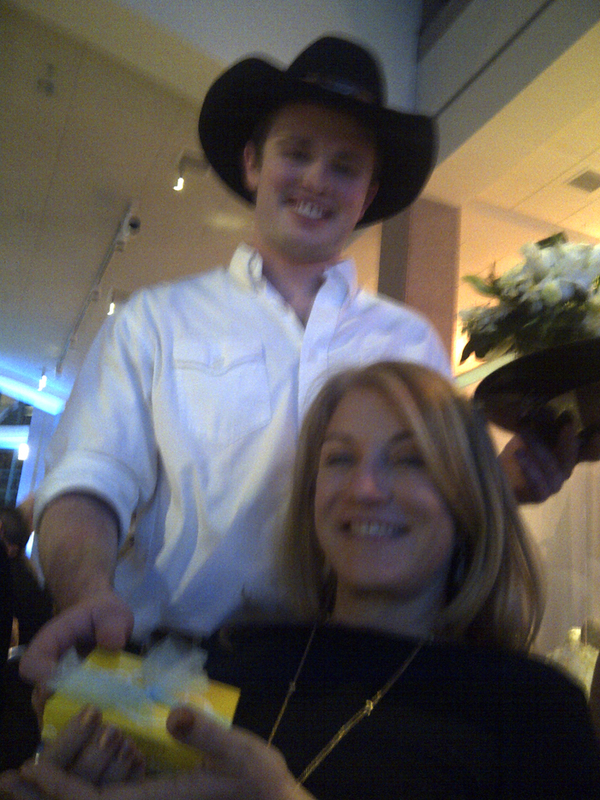 Jeannie & Mickey, Suzanne & David and Mary & Howard Yancy were the Austin co-chairs. I believe the event raised $1.2 – $1.3 million – congrats to all. Both made very strong, elegant statements. Powers received a thunderous standing ovation; when introduced, Greg Abbott received only a brief light applause. Where was our esteemed governor? Franco (Tiburzcio Herrera) and his beautiful family–Mandarin Flower Company–created a spectacular effect of massive white arrangements floating in space, as well as a towering white display under the Bullock Museum dome. So proud of him!